Celia Cruz was not the only Cuban to cry “Azucar” with delight and eager anticipation, but she put the island on the map for many people! “Azucar” or sugar, is and has been the life blood of the island and an essential ingredient without which Cubans could not survive! Life is sweet in Cuba and coffee comes automatically sweet…”Sin azucar?? ?” (without sugar) you must be crazy! 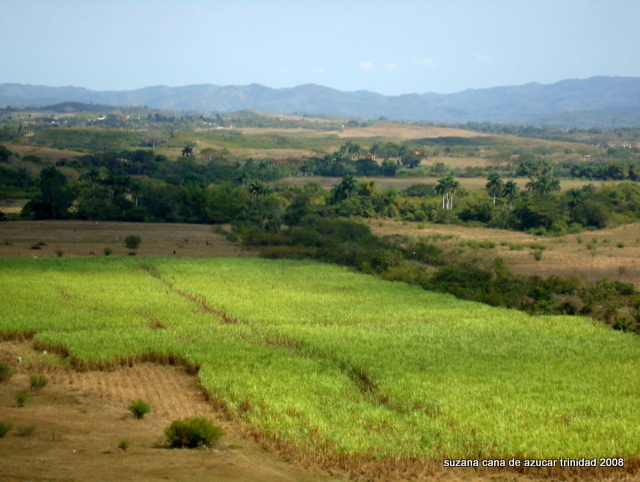 The plantations of sugar cane are now much reduced from their peak following the revolution of 1959 when vast areas of land were cut and burnt to boost crops and foreign income. Sugar prices were high as was demand, but markets fluctuate and during the last three decades Cuban sugar industry has all but disappeared! 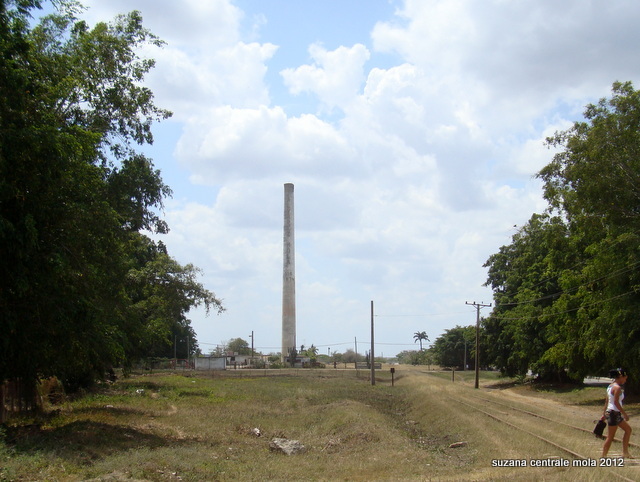 Many of the the “centrales” or sugar refineries, have been closed down or even pulled down, and in some cases only the elegant tall chimneys remain. Workers have had to move on to other industries, and communities have shrunk or moved away. The trains too that were so important for the transportation to the ports are mainly to be found in the museums or abandoned and rusting at the end of the line! Home consumption of sugar will always be high as Cubans have a very sweet tooth, and one way of getting your sugar hit for the day is a delicious cup of “Gurapo Frio” cold sugar juice! 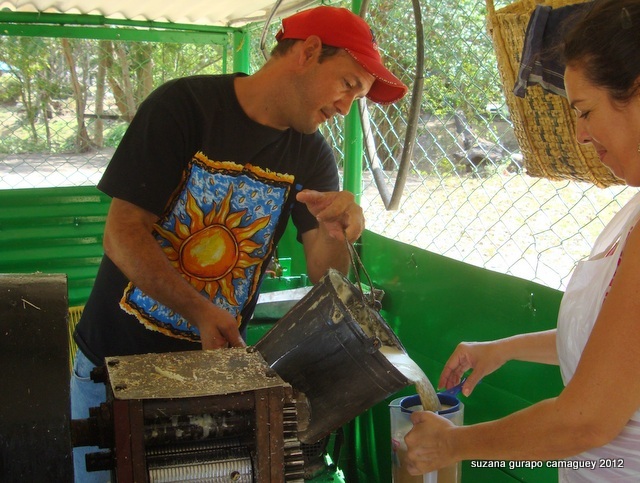 Kiosks selling Guarapo are popular all over Cuba and the juice couldn’t be fresher! 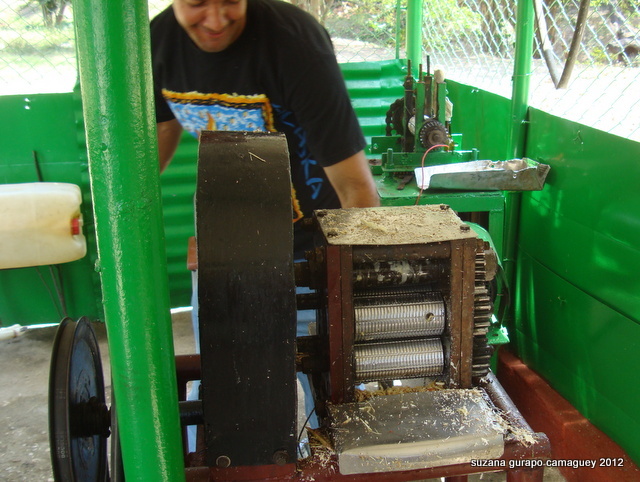 A stack of recently cut cane is piled ready and you can watch the machine as it crushes and squeezes the sweet sticky liquids from the stalks. It’s comes trickling out a light brownish colour and is collected in a bucket as it runs from the rollers. Next a block of ice is pulverised in your mug and the liquid poured over! Its quite frothy, very sweet and will give you a huge energy rush! Cubans love it!! On a boiling hot summer day what could be better mid morning!! Holidays to Cuba available now!